If you’ve ever given a speech or played sports inside of a cavernous gymnasium, you are well familiar with how sound can reflect off of the walls and cause an echo. Interestingly, this phenomenon also occurs on cosmic scale–not just with pressure waves like sound (or shocks), but with light. Supernovae (SNe, SN for a singular supernova) are extremely energetic events that can release a tremendous amount of energy in a (relatively) short time period, like months. Typically, SNe will release ergs ( J) of energy in the form of light, which results in a powerful optical display visible from a great cosmic distance. If the SN is distant, then once the intensity fades away, there is typically nothing more that an astronomer can observe, unless they try to detect the host galaxy from which the SN originated. 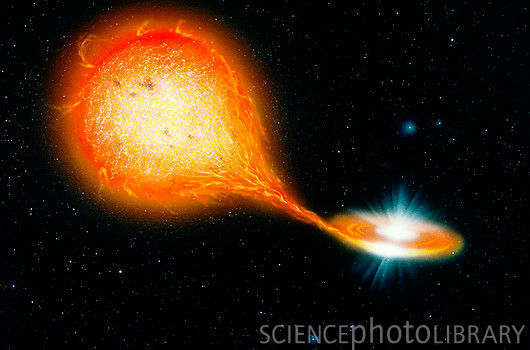 However, if the SN is near enough, then it might be possible to observe light that has reflected from dust that surrounded the SN, forming a light echo. If there is enough dust in the surrounding environment (on the scale of light-years distant from the SN), and the SN is short enough that we can consider it as a sort of pulse of light, then we can observe the dust where the light reflected from it has taken an equal time to travel towards us. This forms an ellipsoidal surface (Figure 1). The authors argue that the primary source of the light echoes is simply light from the original SN scattered towards our line of sight. This light curve can be observed through imaging, photometry, and, if it is bright enough, spectroscopy. 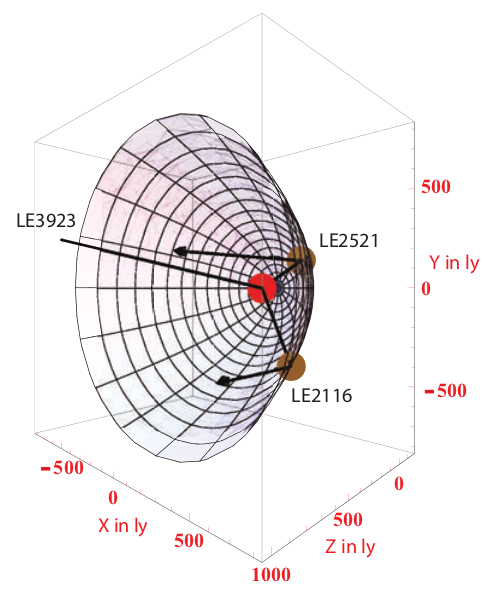 Figure 1: The ellipsoidal surface of a light echo. The red dot is a supernova (Cas A) and the brown dots are the locations of observations. Figure from Rest 2011 et al. Of course, the supernova is not itself a short pulse of light, nor is the surrounding medium a uniform, spherically symmetric shell of dust. Herein lies where all of the interesting projection effects come into play, and what the authors spend their paper investigating. By observing various parts of the light echo surface, astronomers can gain information about the asymmetry of the SN explosion, because it is now possible to observe light from the far side of the explosion that is reflected back towards our line of sight. In addition to the asphericity of the SN, dust in the surrounding interstellar medium is found in clumps and in “thin” filaments, stretching many light years in length. If these filaments lie at different inclinations relative to the SN (as they invariably will) then the light echo will be significantly altered. Additionally, the SN itself lasts a finite amount of time, so in fact light emitted at an earlier time will be reflected from a more distant part of the dust filament, and be superimposed upon light emitted at a later time but reflected from a more nearby part of the dust filament. The authors develop a useful “toy model” to explore the effect these factors will have on light echo observations, and then compare their model to two well known supernova remnants, Cassiopeia A (Cas A) and SN 1987A. Cassiopeia A (Figure 2) is a historical Galactic (i.e. in the Milky Way) remnant, believed to have exploded in the late 17th century, while SN 1987 is the closest supernova observed since the advent of modern astronomical observational equipment. There are no definitive records of any observation of Cassiopeia A in the 17th century. While at Las Campanas observatory, I was fortunate enough to meet Oscar Duhalde, one of the co-discoverers of SN 1987 A. The ancient light from a SN, encoded on the surrounding interstellar dust, can later be read back to learn more about the SN explosion itself. The authors discuss that the possibility of using a light echo to temporally resolve a SN spectrum: by observing different parts of the light echo, one can probe different parts of the light curve of the SN explosion. Typically, the light curve simply describes a plot of the luminosity of the SN over the course of time. The thickness of the dust filament from which the light is reflected is one parameter that factors into the modelling of a light echo, and of course there is an uncertainty associated with this measurement. However, if there were such a situation where two nearby SNe happen to reflect light off of the same dust filament, then the measured thickness of the dust filament should be the same for both SNe light echoes. One may think that having two SNe occur near each and within several hundred years is unlikely, but remarkably the SN remnants Cas A and Tycho fulfill this requirement. The authors plan to use these measurements to further refine their model. 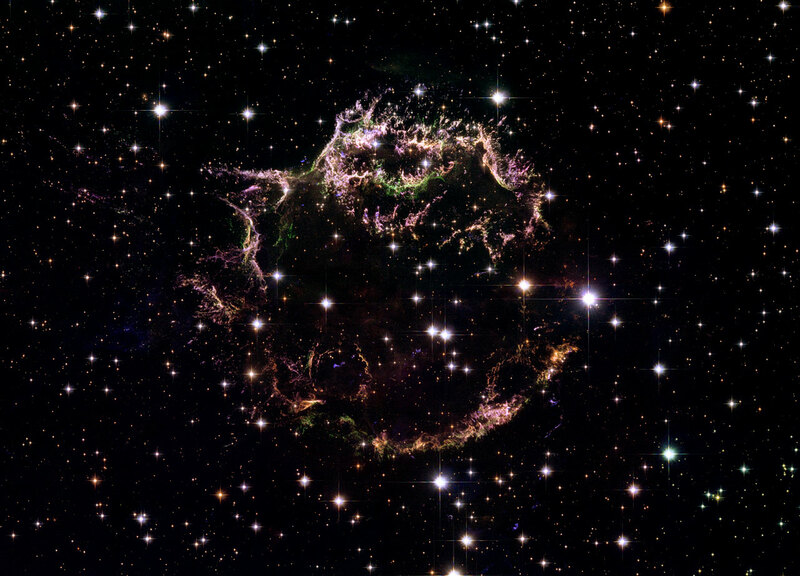 Figure 2: Hubble Space Telescope image of the Cassiopeia A Supernova Remnant. For more on the Cas A supernova remnant, check back for a discussion of another paper in a week or two by Nathan and myself. For a neat animated GIF of the SN 1987A light echoes, check out this website.